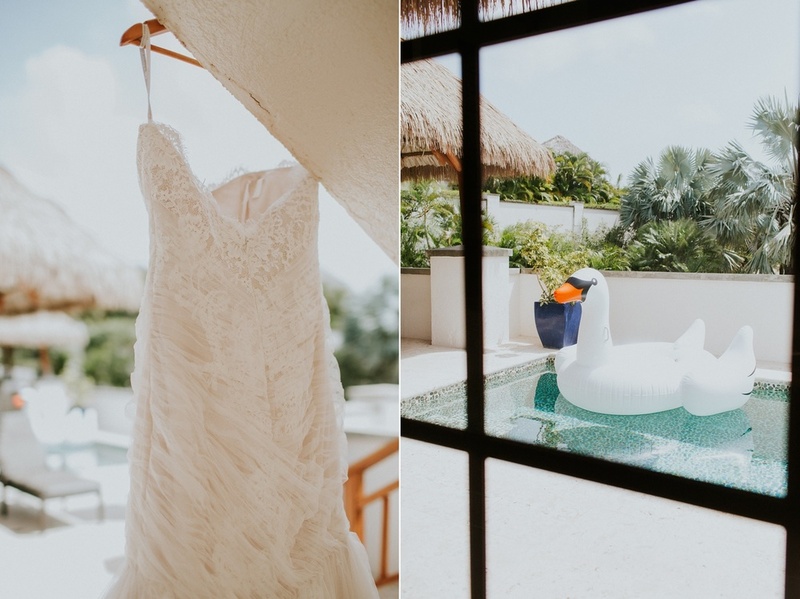 As I sit down to write a bit about this incredible island wedding, I am (as usual) struggling to find words to describe how truly amazing this day was. The colors! The views of Mount Nevis and St. Kitts! The gorgeous family and friends that surrounded Celeste and Chris...The love! So, so much love. I spent most of my time in Nevis like "somebody pinch me. this is my job?" but on this day the feeling was especially prominent! 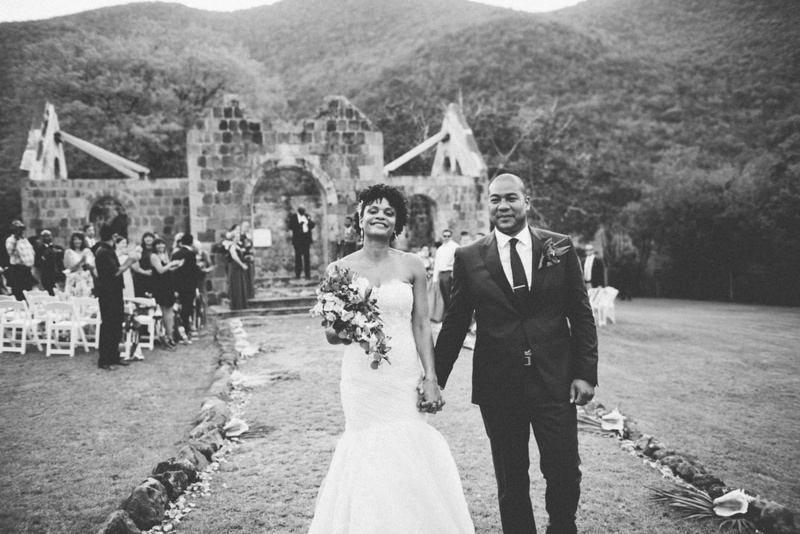 Celeste and Chris held their ceremony at Cottle Church - a gorgeously historic church built in the early 1800s with dramatic views of Mount Nevis in the background. The wedding was officiated by Celeste's father, with beautiful spoken pieces woven in by other family members - but I think my favorite part was watching Chris watch Celeste walk down the aisle. These two have so much love for each other. 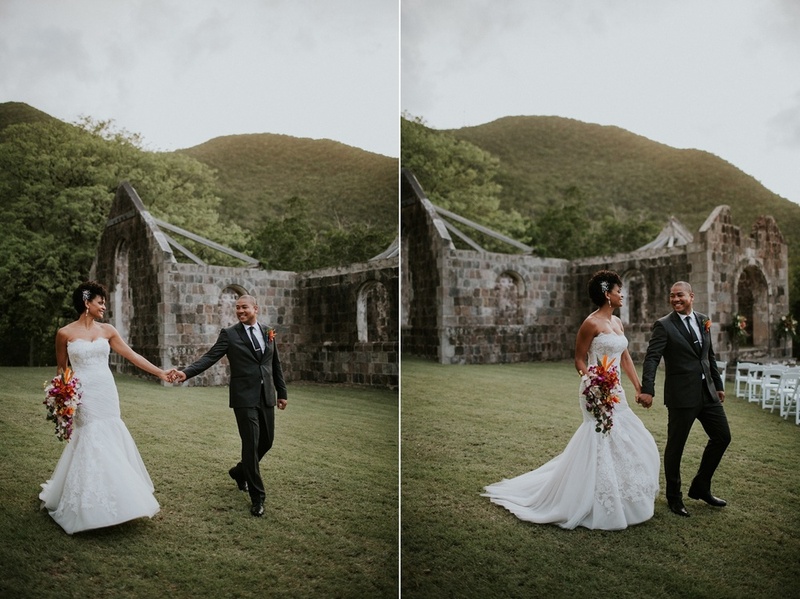 After the ceremony, we took some beautiful portraits with the sun setting behind Mount Nevis, and headed to Paradise Beach for an incredible party. 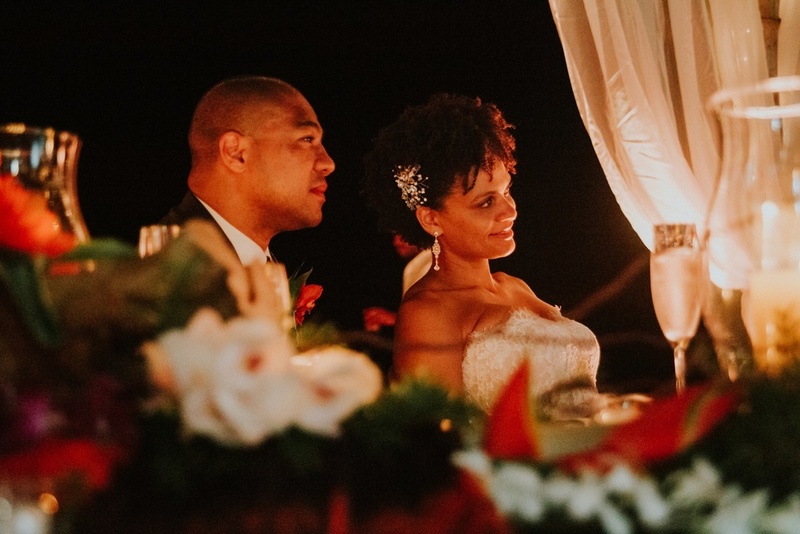 Dreamy twinkle lights surrounded tables and a dance floor set up in the sand beside the bright blue Carribbean ocean. Guests toasted the couple with heartfelt speeches, enjoyed a beautiful dinner, and danced the night away to the most fun band I've ever seen. Beach bonfires and late-night swimming were the perfect way to cap the perfect night.